On the outbreak of the First World War a group of women pacifists in the United States began talking about the need to form an organization to help bring it to an end. On the 10th January, 1915, over 3,000 women attended a meeting in the ballroom of the New Willard Hotel in Washington and formed the Woman's Peace Party. Jane Addams was elected chairman and other women involved in the organization included Mary McDowell, Florence Kelley, Alice Hamilton, Anna Howard Shaw, Belle La Follette, Fanny Garrison Villard, Emily Balch, Jeanette Rankin, Lillian Wald, Edith Abbott, Grace Abbott, Crystal Eastman, Carrie Chapman Catt, Emily Bach, and Sophonisba Breckinridge. In April 1915, Aletta Jacobs, a suffragist in Holland, invited members of the Woman's Peace Party and suffrage members all over the world to an International Congress of Women in the Hague. Some of the women who attended included Sheepshanks, Jane Addams, Alice Hamilton, Grace Abbott, Emily Bach, Lida Gustava Heymann, Mary Sheepshanks, Emmeline Pethick-Lawrence, Emily Hobhouse, Chrystal Macmillan, Rosika Schwimmer. 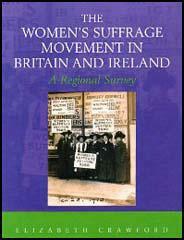 At the conference the women formed the Women's International League for Peace and Freedom. Afterwards, Jacobs, Addams, Macmillan, Schwimmer and Balch went to London, Berlin, Vienna, Budapest, Rome, Berne and Paris to speak with members of the various governments in Europe. 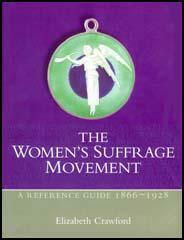 It was decided to form the Women's International League for Peace and Freedom (WILPF). Käthe Kollwitz produced lithographs of war-stricken mothers and children that were distributed as postcards. She wrote in her journal: "I am working with an international society opposed to war, I am filled with a warm sense of contentment. I know, of course, that I do not achieve pure art in the sense of Scmidt-Rottluff's for example. But still it is art. Everyone works the way he can. I am content that my art should have purposes outside itself. I would like to exert influence in these times when human beings are so perplexed and in need of help." Emily Bach, who was dismissed as professor of political economy at Wellesley College as a result of her anti-war activities, became secretary of the organization. She was replaced by Mary Sheepshanks in 1927. The WILPF continued after the war and the international headquarters of the organization is based in Geneva and there are branches in around 50 different countries.